Enjoy creating surprising suspension lamps with a unique and modern design. Match Naked light bulb cage lampshade Diamond Red colored metal with one of our E26 Socket with ferrules and one of our 120 colors of fabric covered electrical cables: you will obtain a perfect lighting installation for your living room, kitchen or to illuminate a bar counter or a restaurant. We like it in particular with a chromed metal E26 Socket, and possibly matching a Led filament Classic Brilliance light bulb. Attention! Bulb and Socket NOT included! Naked light bulb cage lampshade Diamond Red colored metal. 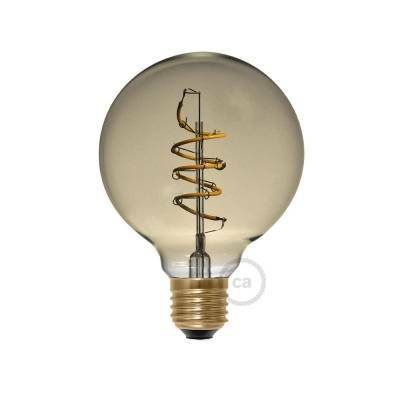 Not suitable for light bulbs with a diameter over 4.92".